L to R: Georgina Terrazas, Claudio Herrera, Ivette Sánchez, Karla Mariscal, Antonio Favela. Telemundo stations in El Paso and Tampa are expanding its afternoon news coverage with the launch of two new half-hour local weekday newscasts, starting June 11. Noticiero Telemundo 48 at 4 pm – Karla Mariscal and Ivette Sánchez, alongside weather anchor Georgina Terrazas and sports anchor Antonio Favela. Noticiero Telemundo 48 at 4:30 pm – Karla Mariscal and Claudio Herrera with weather anchor Georgina Terrazas. 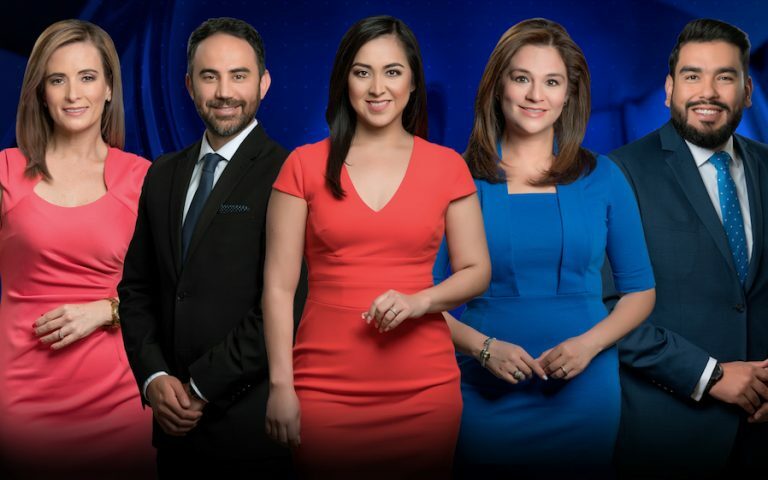 Noticiero Telemundo 48 at 5:00 and 10:00 pm – Ivette Sánchez and Claudio Herrera, alongside weather anchor Georgina Terrazas and sports anchor Antonio Favela. Sánchez has worked as reporter for KTDO for the past six years. Mariscal and Herrera joined the station in 2014. Terrazas has been with KTDO in 2010. Favela joined KTDO in 2012. L-R: Yerman Salazar, Giselle López, Freddy Silva, Cristina Puig, Rubén Capote. 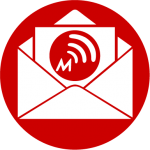 At WRMD Telemundo 49, the newscasts will air at 5 and 5:30 pm. The Tampa station brought Giselle López from sister station WSCV Telemundo 51 in Miami to co-anchor the new afternoon shows. At Telemundo 51, she was a fill-in anchor and reporter for the station’s morning and afternoon newscasts since September 2016. 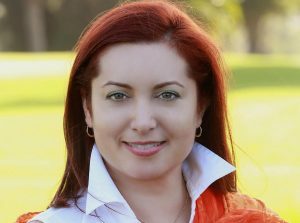 She previously spent two years as a news anchor/reporter for WGEN-TV MundoFox/MundoMax in Miami. Noticiero Telemundo 49 at 5:00 pm – Giselle López and Cristina Puig, alongside meteorologist Rubén Capote and sports anchor Yerman Salazar. Noticiero Telemundo 49 at 5:30 pm – Giselle López and and Freddy Silva, meteorologist Rubén Capote and sports anchor Yerman Salazar. Noticiero Telemundo 49 at 6:00 pm and 11:00 PM – Cristina Puig and Freddy Silva, meteorologist Rubén Capote and sports anchor Yerman Salazar. I would like to know what happened with Karla Mariscal she isn’t coming in the news anymore!!! Just info about where about of Karla Mariscal why she isn’t in the news anymore!!! Announce on the ten o’clock news!! Thank you! !